Home » Tip Of The Week » Do You Have Confidence to Obey God’s Call? Do You Have Confidence to Obey God’s Call? What traits do you look for in a leader? For many, leadership means having a certain strength, gravitas or personal charisma — a leader energizes a room by just walking into it. 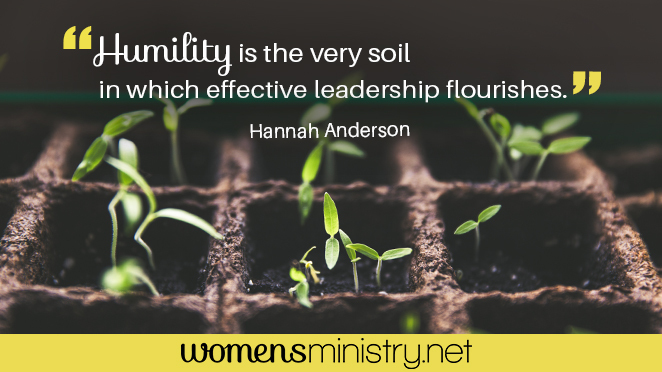 But how often do we think of humility as essential to leadership? In its most basic definition, humility is recognizing who we are and who we are not; it means honoring God as God and remembering our limits as human beings. In this sense, humility is more than a nice personality trait; humility is the very soil in which effective leadership flourishes. Humility rescues us from the temptation to make a name for ourselves. Pride teaches us to seek our own glory through the applause and approval of others; but nothing could be more detrimental to leadership because it traps us in a neverending cycle of perfectionism. Humility, on the other hand, teaches us that leadership was never about us in the first place. Because true leadership means pointing to God’s glory and not our own, we don’t have to worry about performing. We can simply be faithful. Humility frees us from the paralysis of criticism. Pride also makes us hypersensitive to criticism because we want to maintain a certain image as leaders. So we become indecisive, looking over our shoulder or crowd sourcing before we make a decision. In I Corinthians 4:3-4, Paul writes that “it is a very small thing that I should be judged by you or by any human court. In fact, I do not even judge myself… It is the Lord who judges.” In other words, humility taught Paul how to close his ears to others in order to submit himself to the judgment of the Lord. And once he became deaf to criticism, he could hear the voice of the only One whose opinion counts. Humility gives us confidence to obey God’s call to lead. One of the most surprising barriers to effective leadership is self-doubt. Because we couldn’t imagine ourselves leading, we don’t believe that God could call us to it. Instead of submitting to His call we submit to our own feeling of unworthiness. But humility teaches us that God’s call isn’t based in our worthiness; it is based in the simple fact that God has called. And because He is God, He must be answered. He must be obeyed. When God calls us to lead — whether in the church, home or broader society — He is calling us to participate in something larger than ourselves. He is calling us to spread His glory throughout the world. Humility frees us to do this. GIVEAWAY: Leave a comment sharing how this tip has inspired or encouraged you and be entered to win a copy of Hannah’s new book, Humble Roots: How Humility Grounds and Nourishes Your Soul. Winner will be randomly selected by comments left by October 12. Hannah Anderson lives in the Blue Ridge Mountains of Virginia and works beside her husband in rural ministry. She is the author of Made for More and the newly released Humble Roots: How Humility Grounds and Nourishes Your Soul (Moody). You can find more of her writing at sometimesalight.com, listen to her weekly podcast Persuasion, or follow her on Twitter @sometimesalight.